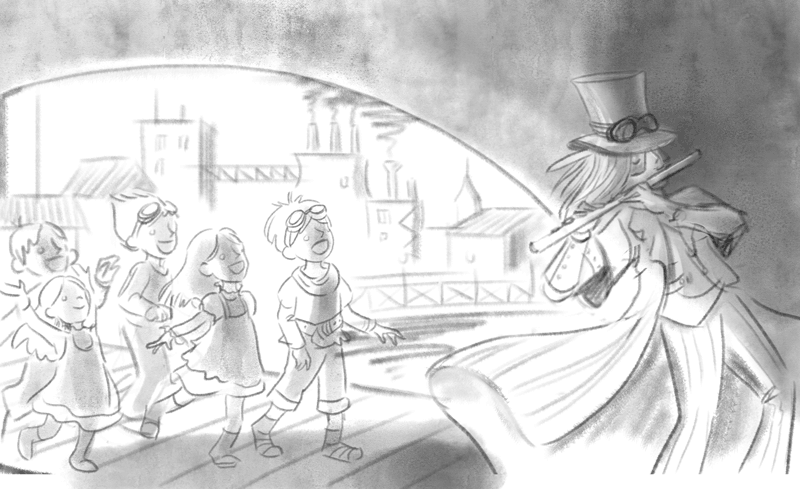 As part of an SCBWI workshop, I illustrated a scene from The Pied Piper of Hamelin. 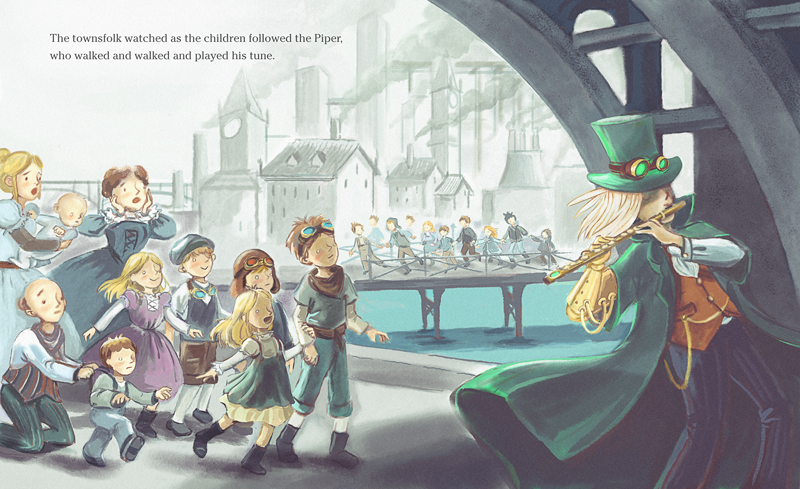 The scene is from the end of the story: The townsfolk watched as the children followed the Piper, who walked and walked and played his tune. Final illustration. Given the dark nature of the story, I wanted to evoke a Dickensian, Steampunk dystopia.